Update, May 15: Overwatch has reached 40 million players ahead of the game’s second anniversary. Today, Jeff “From the Overwatch Team” Kaplan blessed us with another developer update video, this time discussing the game’s upcoming second anniversary. We heard much of the info about the upcoming anniversary event yesterday, but Papa Jeff also proudly let us know that Overwatch has reached yet another player count milestone. Overwatch now has 40 million players. The last public milestone was 35 million back in October, so that’s an extra 5 million in little over half a year. Not a bad growth rate for a nearly two-year-old game, even accounting for some free weekends juicing the numbers here and there. 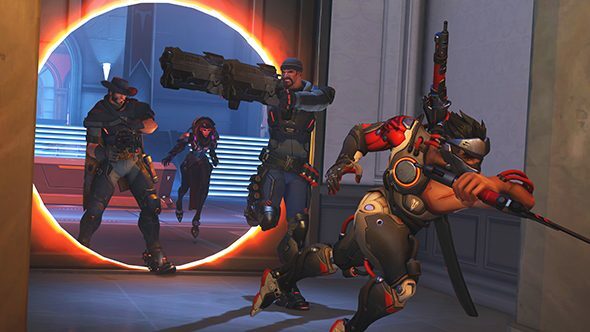 Activision boasted in their latest financials that the recent Retribution event was the game’s most popular yet. Kaplan also revealed a few additional details about the anniversary event. The new Petra deathmatch map is built around a mega health pack in the center, and the free-for-all competitive deathmatch will take place on both Petra and Chateau maps. In addition to this event’s loot box having a chance to drop any seasonal item, those items will also be available for unlock with in-game cash. Select seasonal brawls will also rotate throughout the event. Naturally, you can also look forward to new legendary skins – eight, to be precise. One of those is for a “certain dapper looking gentleman” in formal wear, which many have taken to mean the long-awaited debut of Tuxedo Doomfist. Original story, May 3:Overwatch continues to be massively popular, as the latest Activision-Blizzard financial reports confirm. The hero shooter has had great success since the launch of the Overwatch League, and the game’s latest event has been the biggest one to date. Last month’s Retribution event had “a higher participation rate than any prior event,” which suggests – as the bigwigs might say – better engagement than ever before. They also say the game’s continuing to draw in new players. No specific numbers there, but it’s worth noting that in August Overwatch posted its best active player numbers to that point, a year after launch. Activision-Blizzard attribute that improved engagement in part to Overwatch League, with “combined hours spent playing and watching Overwatch increasing sequentially” since the launch of the organization. That may be a tricky bit of math – if playtime is down against increased watch time – but it does mean people are still pouring tonnes of interest in the game. The other games under the Blizzard label are also cited for big success, with World of Warcraft posting better numbers than the same time in the last expansion cycle, and Battle for Azeroth pre-orders ahead of expectations. All told, Blizzard had 38 million monthly active users for the period. Across both sides of the company, Activision-Blizzard reported more monthly active users than the population of the US. They also say that Destiny 2 was Activision’s biggest PC launch ever.